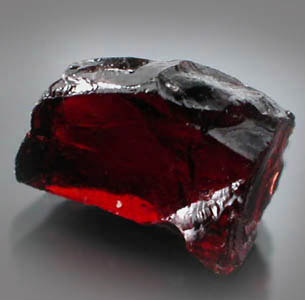 Description: SCP-472 is a red garnet, of the pyrope-spessartite variety, of unusual size (1.8 carat). The phrase "For man looketh on the outward appearance, but the LORD looketh on the heart" has been engraved in 2 mm (0.08 in) high lettering on the stone's surface. Relevance of the phrase is unknown. When any organism possessing a heartbeat passes within an 18 m (60 ft) radius of SCP-472, that subject will begin to hear the distant beating of a heart within their head. The heartbeat heard directly corresponds with the subject's own heartbeat, with the frequency of the palpitations increasing or decreasing with the pulse of the subject. Prolonged exposure causes a variety of additional psychological effects. Stage 5: Onset 55-69 minutes: Previous symptoms increase. 100% of subjects rendered mentally incapable of leaving the influence of SCP-472. 38% of subjects exposed enter a state of catatonia; this state has a 76% fatality rate if subjects are not removed from SCP-472's area of influence. Effects decrease within 6 hours of vacating area and cease within 24 hours. SCP-472 was recovered from the mansion residence of [REDACTED], a wealthy man living in [REDACTED]. Foundation investigators were alerted by local reports of hauntings by domestic staff after [REDACTED] was hospitalized by a fall. Mobile Task Force Delta-5 ("Front Runners") was assigned to investigate due to possible connection to ongoing projects. Investigation narrowed down the origin of the anomalous effects to SCP-472, which had been prominently displayed in [REDACTED]'s jewel collection. Origin of SCP-472 is under investigation. SCP-472 was located via reports from the so-called 'anomalous community', from interfacing with Mobile Task Force Sigma-3 ("Bibliographers"). Initial theories from anomalous community sources categorized SCP-472 as a 'seal' containing an entity responsible for SCP-472's anomalous effects. However, further analysis has not supported this, rather indicating that SCP-472's appearance as a red garnet may be due to a fundamental perception error of unknown nature. Sources have not been able to confirm anything substantial about the origin or nature of SCP-472. Addendum 472-045: Effects of Subsequent Exposure: Subjects previously exposed to SCP-472's effects experience a cumulative 10-20% increase in the speed of onset of certain of SCP-472's effects with each additional exposure. Eventually, subjects will immediately begin experiencing symptoms at Stage 2 levels, with Stage 3 occurring within 5-10 minutes. Stages 4-5 then occur as normal. Time of onset of Stage 6 is not affected and continues to occur no earlier than 361 minutes after initial exposure. Additionally, interviews with multiple-exposure subjects [DATA EXPUNGED] anomalous information element. See documents [REDACTED] and Interview 472-0165-b. SCP-472's Object Class has been upgraded to Euclid. Containment procedures updated.